Banana Bread Baked Oatmeal. I am always looking for quick and easy breakfasts on the go. That is where this Banana Bread Baked Oatmeal recipe comes in. It’s super easy, freezes well and travels well! 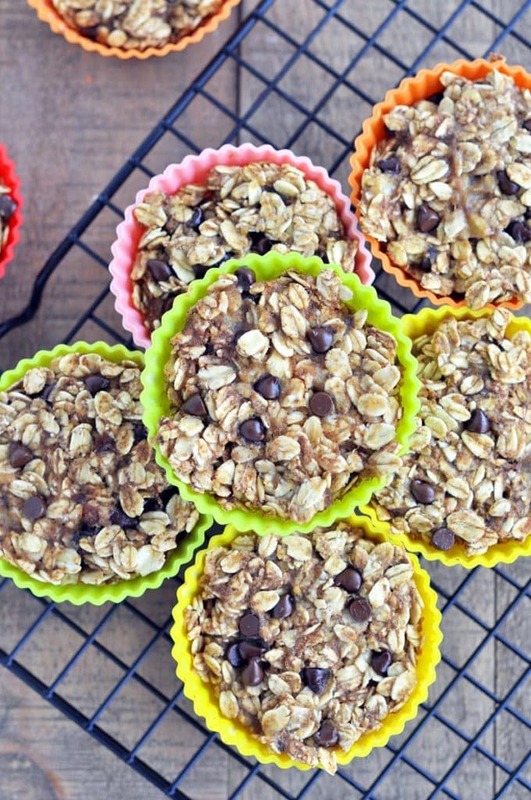 Make a double batch and pack your freezer full for those busy school mornings. This recipe is nut free, so it would be perfect for pack in your kids school lunches. 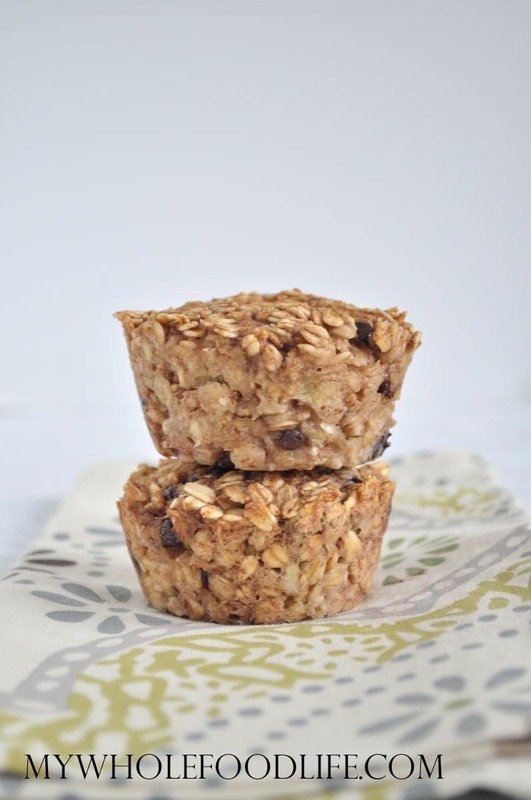 This Banana Bread Baked Oatmeal recipe was a huge hit here. I hope you enjoy it as well. If you are in search of other quick breakfast ideas, you may also enjoy my post on 22 make ahead breakfasts for back to school mornings. These seriously whip up in just a few minutes. This recipe is vegan, gluten free, dairy free and nut free. I added chocolate chips to mine, but you could also add raisins if you prefer. This is a great way to use up some ripe bananas too. We shot a video for this recipe. Sorry it’s a little shaky. You can view it below. For more healthy recipe videos, you can subscribe to my You Tube Channel. Fold in the chocolate chips or raisins. Spoon batter into lined or greased muffin pans. I used standard sized muffin pans and silicone liners . Bake for about 11-14 minutes. Thank you for your amazing website! I was wondering if the Ener-G egg replacer would work in place of the flax egg/real egg? Or even extra applesauce or banana? Thank you! Could I use ehh whites instead of the whole egg. If so how many egg whites when I need? Maybe? I haven't tried, but if I had to guess, I would say 4 egg whites? what would be a replacement for applesauce? You can try sweet potato, more banana or pumpkin. How long would you bake for mini muffins? This is my new favorite recipe for a quick bite before my early morning runs. Cut one in half and eat it before I go and then get to come home and eat the other half! Seriously so good! I have been using chopped medjool dates and some walnut or pecan pieces instead of chocolate chips. So glad you like it Carrie! How long will they last in an air tight container? In an airtight container in the fridge, they will last for at least a week.